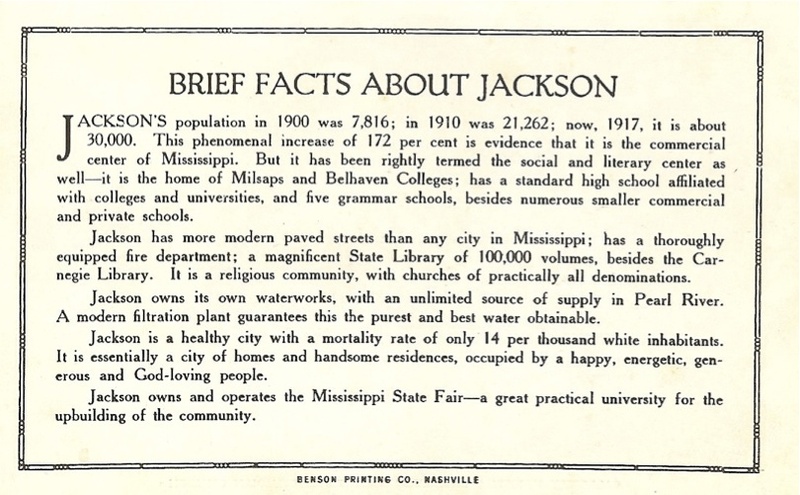 Some friends of the University just sent me a little brochure from 1917 that was promoting Jackson, Mississippi, and featured Belhaven College. 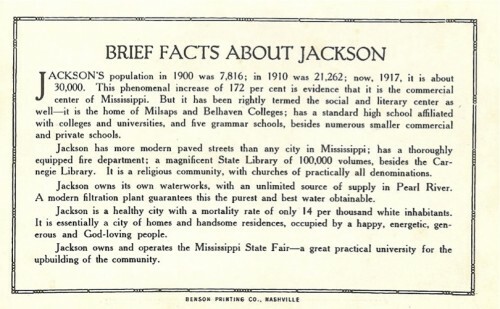 Here is the summary of Jackson — a bit of a change in 94 years – and interesting to see how some of the things featured in a publicity brochure of a century ago are things we just take for granted now. This entry was posted in Belhaven, Culture, World Events by Dr. Roger Parrott. Bookmark the permalink. My great-aunt, Missie Hines McKee, was a 1918 Belhaven graduate and very proud of that fact. She told many stories of her days as a “Belhaven girl” and was very entertaining. I was always struck by how things had changed, even on the campus of Belhaven, since her time. She couldn’t leave the campus without wearing her cap and gown, with gloves, to identify her as one of the campus girls.